Enjoy a luxurious private wine tour in the Dundee Hills. This first class adventure takes you into the beautiful hills of the central Willamette Valley. Enjoy wine tastings from the finest wineries in Oregon. During your unforgettable private wine tour, you will be taken on a journey like no other! You will be visiting 3 wineries in the breathtaking Dundee Hills! You will spend approximately 1hr in each winery, as well as eat lunch at the world's famous Red Hills Market in Dundee. Each passenger will have $10.00 provided for lunch. This private wine tour includes round-trip pickup to and from your hotel, bed and breakfast, and/or your residence as well as round-trip transportation to and from the wine tour. You will be riding in style in a nice, spacious SUV. For a larger group over 6 passengers, there will be a nice 2017 Ford Transit van. 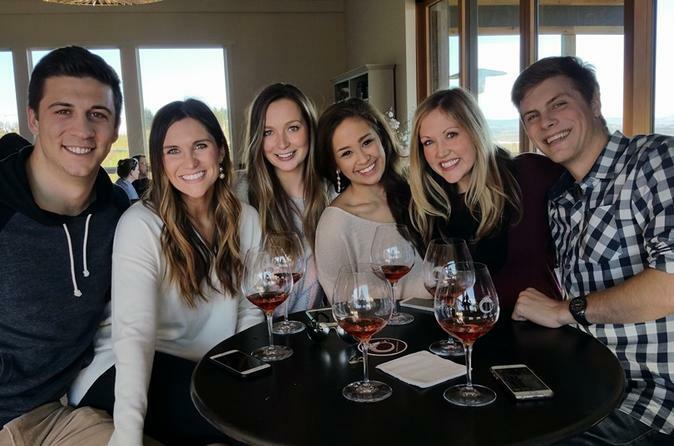 This amazing wine tour is 6 hours, and if you need more time past 6 hours that option is available for a additional fee.